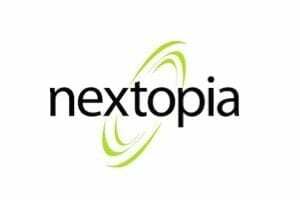 Google’s Chrome Web Store offers apps to streamline the Chrome experience, providing a small business with tools to thrive using cloud-based solutions. 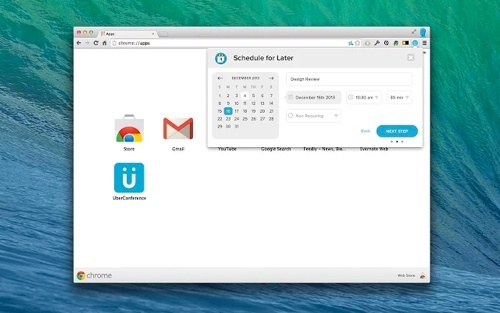 Here is a list of apps to run your business on Chrome. 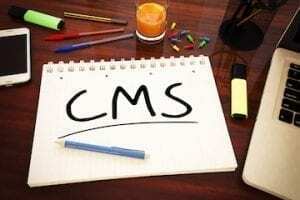 There are browser extensions and web applications for scheduling, accounting, marketing, conferencing, and much more. 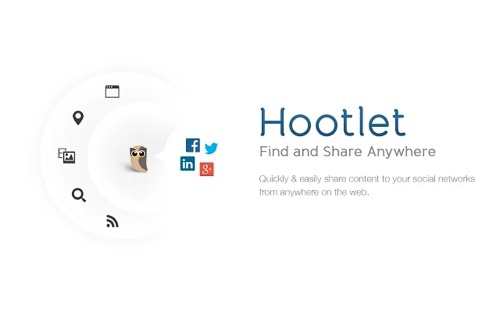 HootSuite Hootlet is a free extension to the Chrome browser that brings the power of HootSuite natively into the browser experience. 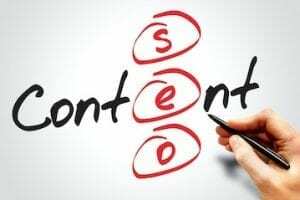 Search social content as easily as you search Google, share directly from any page, highlight any text and automatically compose a message to share, search location relevant social shares, and share images and video effortlessly. Lucidchart Diagrams is an easy way to draw flowcharts, mockups, modeling, mind maps, and more — online and offline. 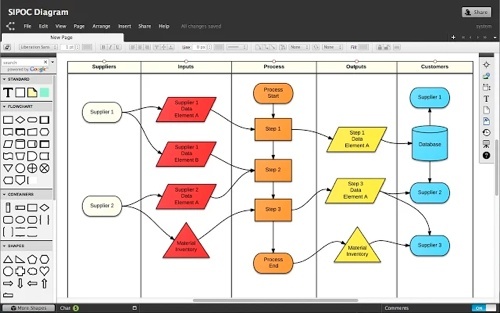 When online, easily share your diagrams with others to experience real time collaboration with changes synced instantaneously. Wave Accounting is a free accounting tool for consultants, contractors, and other small business owners. 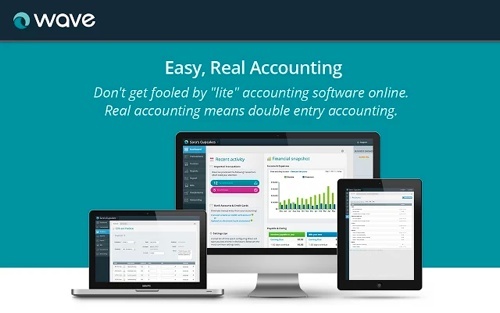 Keep track of expenses, issue invoices, track sales, and generate professional accounting reports. 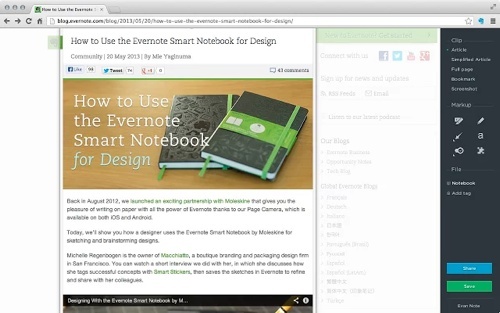 Evernote Web Clipper is an easy way to save, mark up, and share anything you see online. From clipping pages to taking and annotating screenshots, the Evernote Web Clipper lets you capture everything, then access it from anywhere. 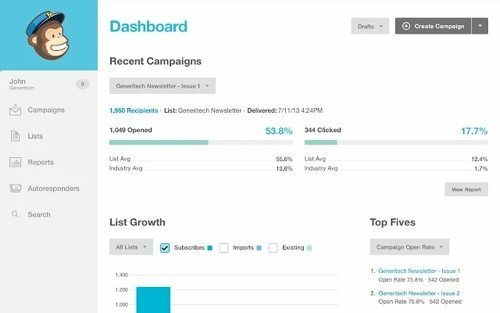 MailChimp helps you design email newsletters, share them on social networks, integrate with services you already use, and track your results. MailChimp integrates with FreshBooks, Zendesk, and many other systems in the Chrome Web Store. This is a Chrome extension for Asana, the teamwork app that puts conversations and tasks together. 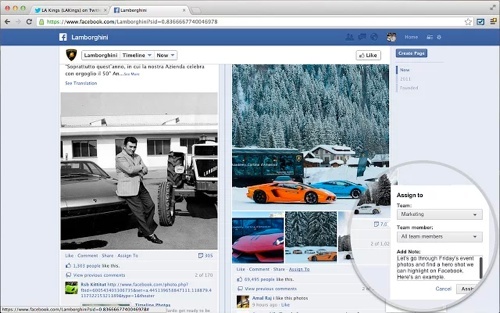 Add and assign tasks from any web page. 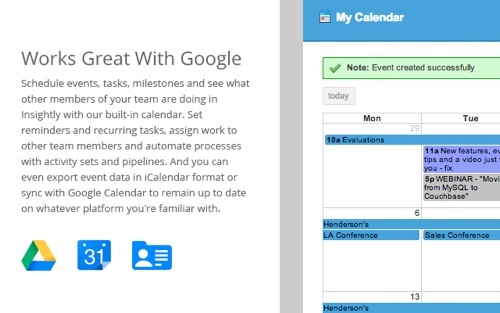 Easily create, assign, follow, and comment on tasks, so you always know what’s getting done. Asana is free for teams up to 15 members with unlimited projects and tasks. HelloSign is a easy app to get documents signed. Simply open your file and add a signature. 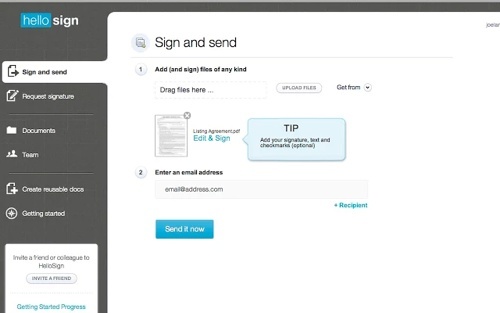 If you need a document signed, upload the document, assign the signature field and send off your request. 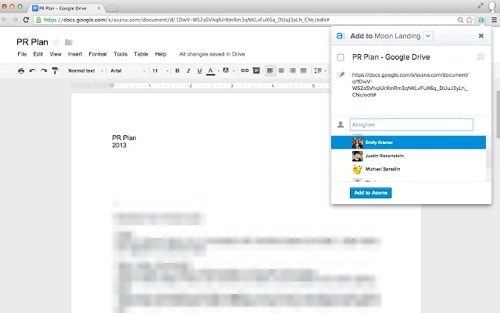 HelloSign integrates with Google Drive, Dropbox, Box and Evernote. 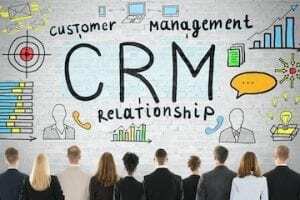 Insightly offers an integrated CRM and project management application to small businesses. 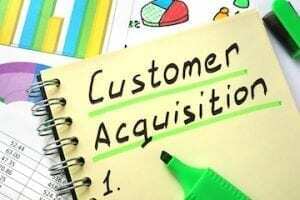 Manage contacts, suppliers, sales, and more. Define tasks and milestones for projects, and get email reminders of what’s coming up and what needs to be done. 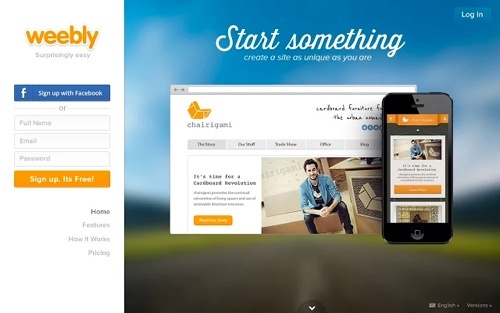 Insightly is free for up to three users. 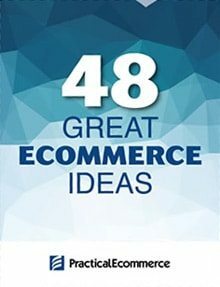 Weebly is a creator to start a site, blog, or online store. 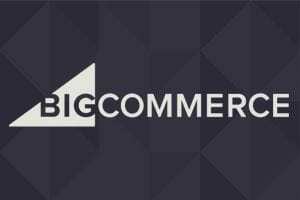 It offers a range of pricing options including a free plan and premium plans starting at $4 per month Weebly has ecommerce features, mobile site creation, analytics, and more than 100 themes. 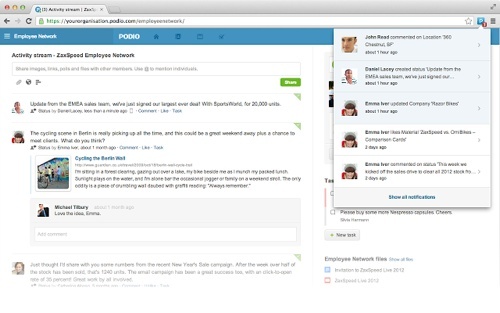 Podio is the collaborative work platform for team projects. Manage any work on the web and on the go, from projects to sales leads. Create workspaces and project apps to collaborate, share files, and get work done together with anyone you invite. Podio is free for five users. Assignments is a Chrome extension from HootSuite that allows your team to assign tweets and Facebook wall posts directly from Twitter and Facebook. Monitor assignment progress from a quick assignment drop-down view from within your browser. This is a Chrome extension for UberConference, the conferencing tool. Start or schedule a conference call from the extension popup. See social media profiles to know who’s on the call and who’s speaking. Record calls, mute participants to get rid of background noise or put “earmuffs” on people that may not want to hear part of the conversation. 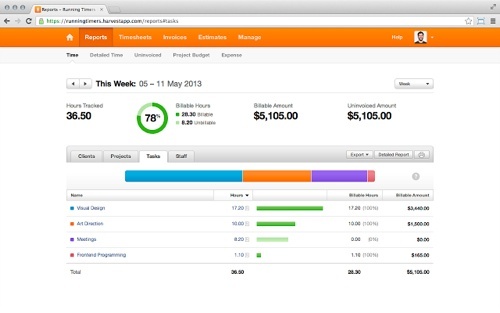 Harvest is a timesheet and invoicing application, ideal for small businesses, teams and freelancers. Send professional invoices and accept instant payment from your clients right through Harvest. 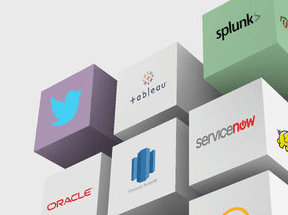 Create visual reports, track budgets and make smarter decisions for your business. 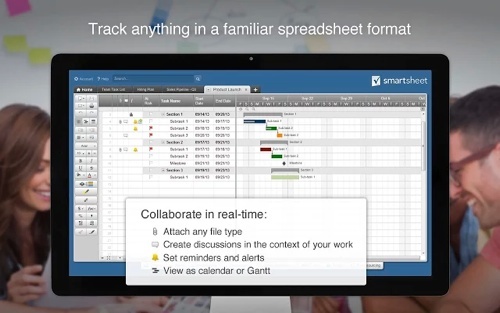 Smartsheet is a collaborative spreadsheet tool. 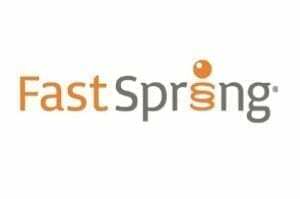 It utilizes file sharing, discussions, automated alerts, and web forms to gather information that will feed right into your sheet. 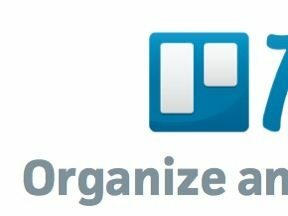 Quickly track progress of tasks with visual icons. 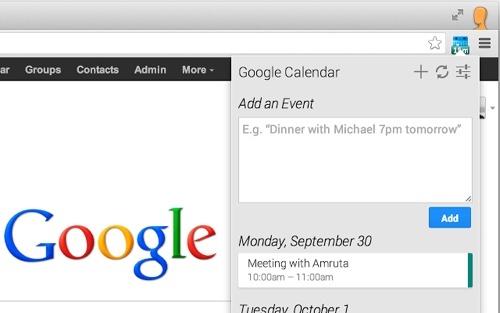 Smartsheet integrates with Google Drive, Gmail, and Google Calendar. 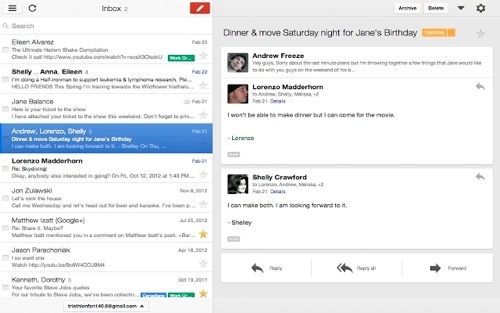 Gmail Offline is a beta Gmail app built to support offline access, allowing mail to be read, responded to, searched, and archived without network access. Gmail Offline automatically synchronizes messages and queued actions anytime Chrome is running and an Internet connection is available. 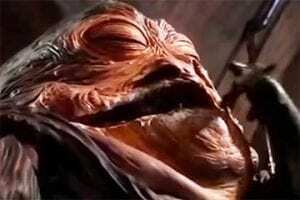 Save to Google Drive Extension. 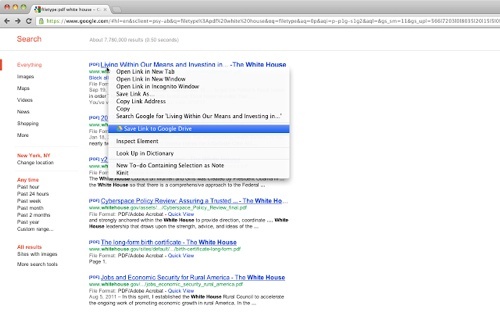 Save to Google Drive allow you to save web content directly to Google Drive through a browser action or context menu. Save documents, images, and HTML5 audio and video — all by right clicking and selecting “Save to Google Drive.” Save the current page using the “Save to Google Drive” browser action.